Ever since the seventeenth century, and in some senses before that, the Christian faith has come under serious criticism by secular philosophers who have questioned the claims that Christianity makes. However, in my experience as a vicar, it is only now in the 21st century that the full force of the Enlightenment is truly impacting on the church with the arrival of books like Richard Dawkins' "The God Delusion" and statistics that growing numbers of people self-identify as having no religion or being atheist. The church may have its own internal arguments which are making press news these days, but the greatest challenge I believe it faces is how to speak to a culture which has largely lost confidence in the idea of Christian revelation or the existence of God. We cannot like ostriches put our hands in the sand and avoid this reality. So what should we do? 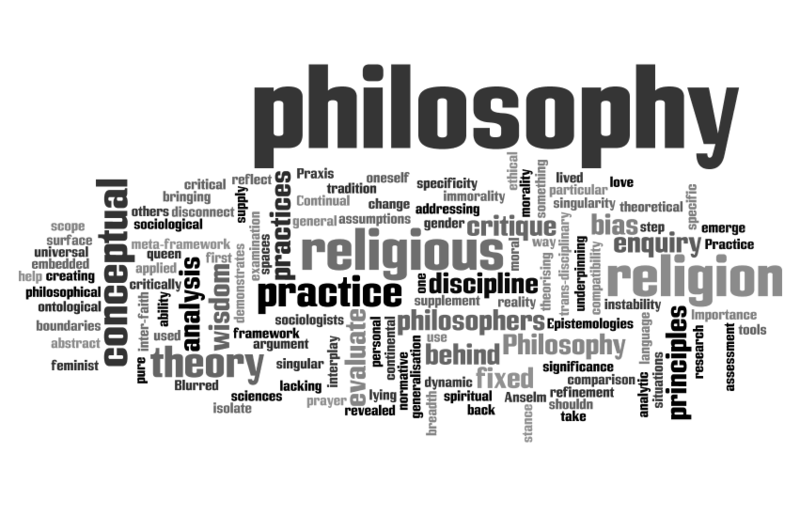 Understanding the way philosophy has evolved over the centuries is I believe of fundamental importance in helping us understand the culture in which we are now living. We can only hope to scratch the surface of these issues on this course but at least we may come away from the course with arguments and insights that can help us in today's challenging context. This secular book will be given its own presentation by myself, Rev Simon Tillotson, at the evening sessions at the Vicarage as we look at the below topics. Please note that if you read this book without attending the course then it may not necessarily help you in your faith as it is a secular book. The course itself will present some of the arguments Christians can use in defending their faith. Interestingly, Nigel Warburton's 5th edition includes a whole chapter on Animal ethics which makes the book stand out from other books of this nature. You can buy the book online for about £15 or via any main bookshop, or you can buy the 4th edition for a much cheaper price online (for about £2 to £3) and then listen to me talk about the chapter on animals. However, buying the book is not essential. As with previous courses I will be laying out the main arguments of each chapter for about forty minutes and then allowing a time of discussion before we finish at 9.15pm.My talks will be recorded and put online on this website for those who miss some of the evenings and others. Course notes will also be available on this website. Participants should aim to arrive from 7.30pm for a 7.45pm start. The cost of the course is free though donations will be requested on the final evening to help towards photocopying costs for the handouts. Can you let me know by either telephoning me on 01227 272308 or emailing me at tillotsons@gmail.com if you are interested in joining this course. Because of holidays and other commitments I have had to spread the dates of this course over several months but I hope this will not put you off attending what promises to be a fascinating exploration of central philosophical themes that can help us put our own faith in context and hopefully give us more confidence when in discussion with our non believing friends, family and neighbours. Click here please to return to church website! I have been Team Vicar of All Saints and St Peter's in Whitstable since January 2007. I grew up in Cambridge and have a degrees in English Literature at London University and in Theology at Cambridge University. I was ordained in 1994 and so have been working as a minister in the church since then. I am married to Cathy who is looks after a collection of animals including monkeys, racoon, foxes, birds of prey and other animals at the Fenn Bell Conservation Project.